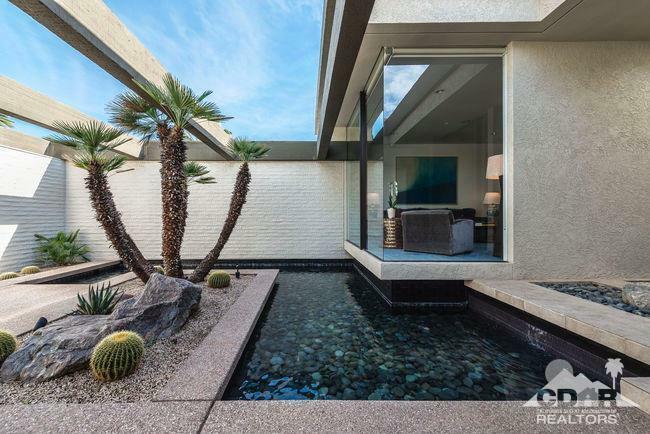 The stainless steel double door entry reveals a private courtyard with a stunning water feature. 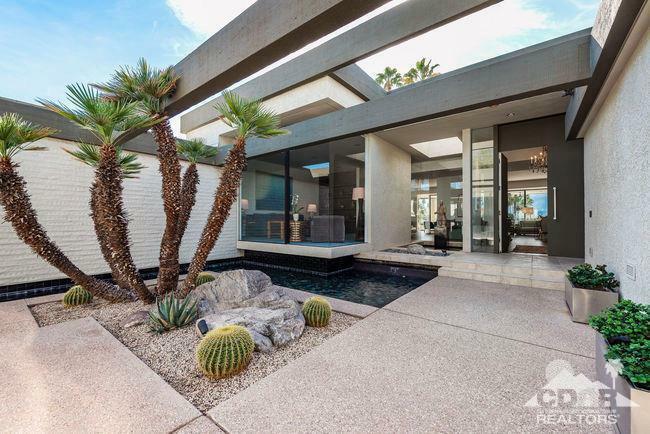 This custom desert contemporary home has it all, soaring ceilings, walls of glass, magnificent mountain and fairway views, large walls perfect for art collectors and total indoor outdoor living. 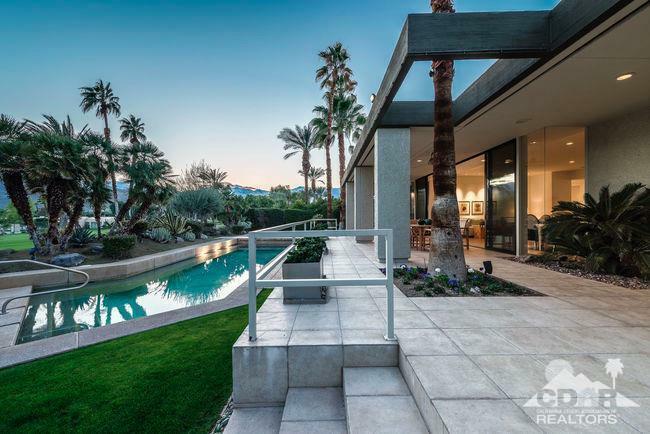 The backyard is complete with covered patio, outdoor dining area , barbecue, sculpture and pebble tec pool and spa. 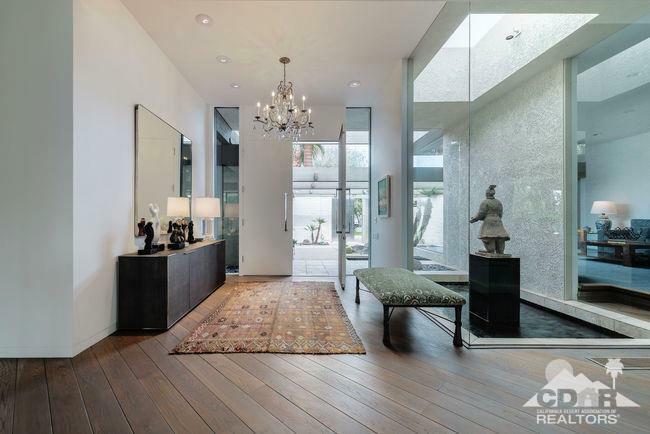 Living room has wood flooring, sunken bar and fireplace, and the entertainers dream kitchen includes granite, stainless, large island, walk in pantry and breakfast room. The large master suite offers a sitting area, dual bathrooms and walk in closets. The den cantilevers over the water feature, an office, two en suite bedrooms, exquisite powder bath and laundry room complete this exceptional home.